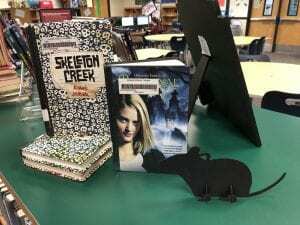 Hey Wildcats! 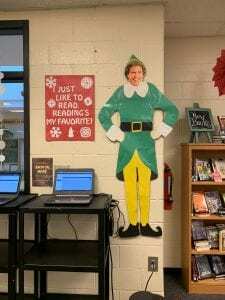 It sure is cold outside! 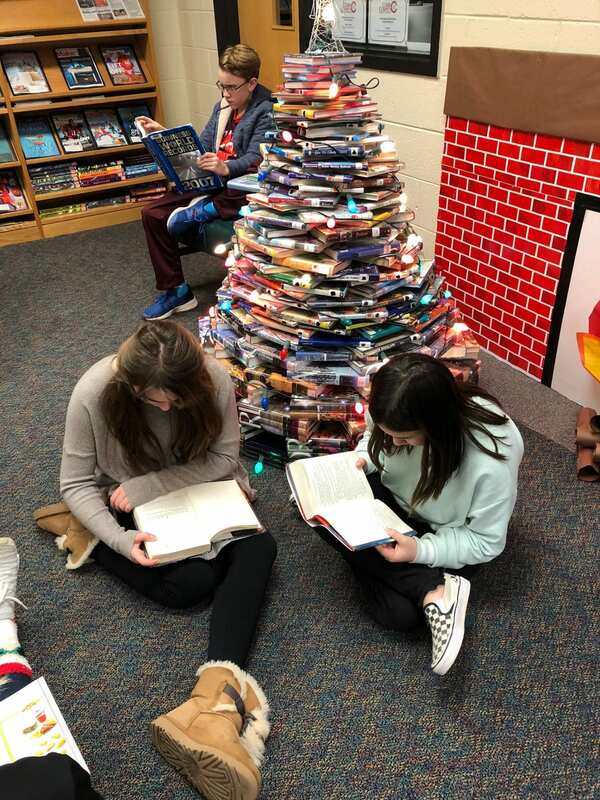 What a perfect time to cozy up with a book. 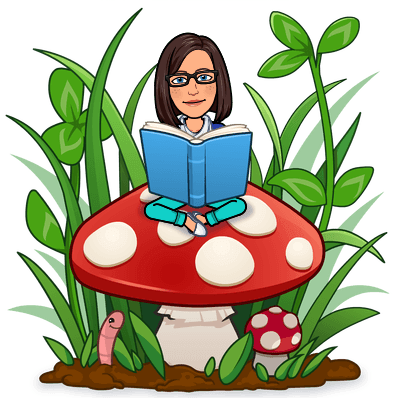 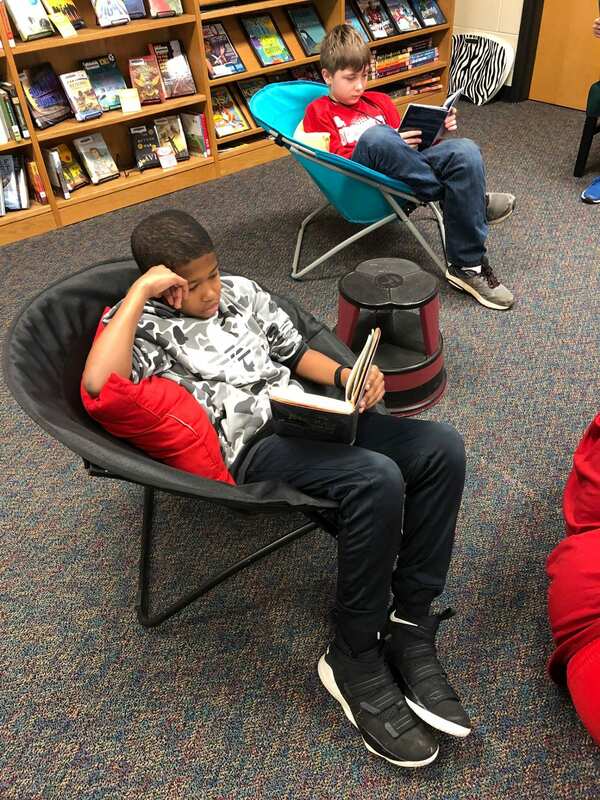 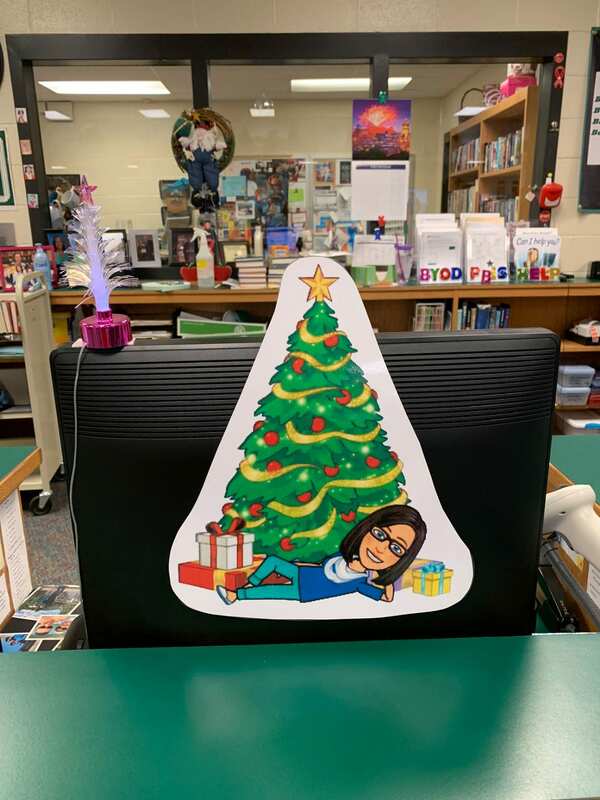 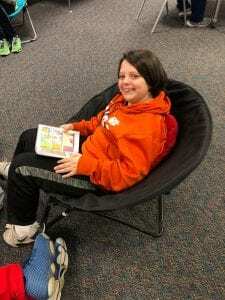 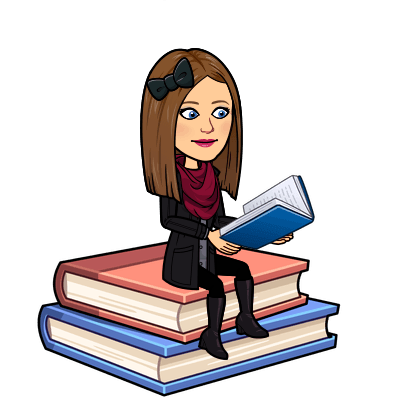 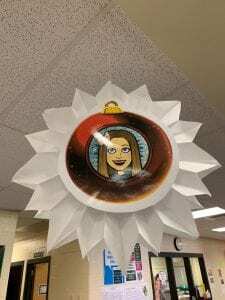 Take a snapshot of yourself in your favorite reading spot, and share it with us for a possible feature on the bulletin board in the main hallway. 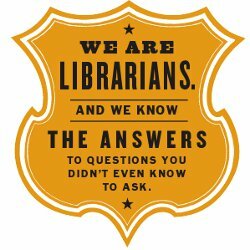 We can’t wait to see where you read! 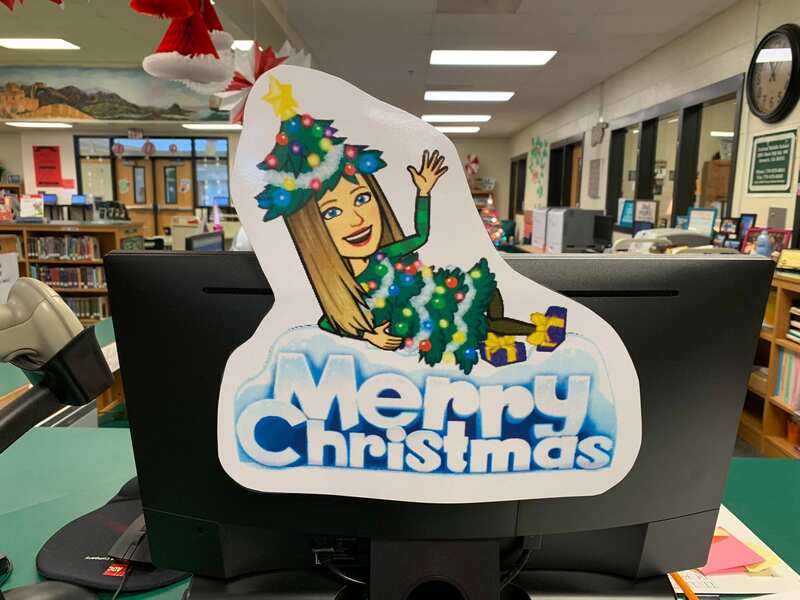 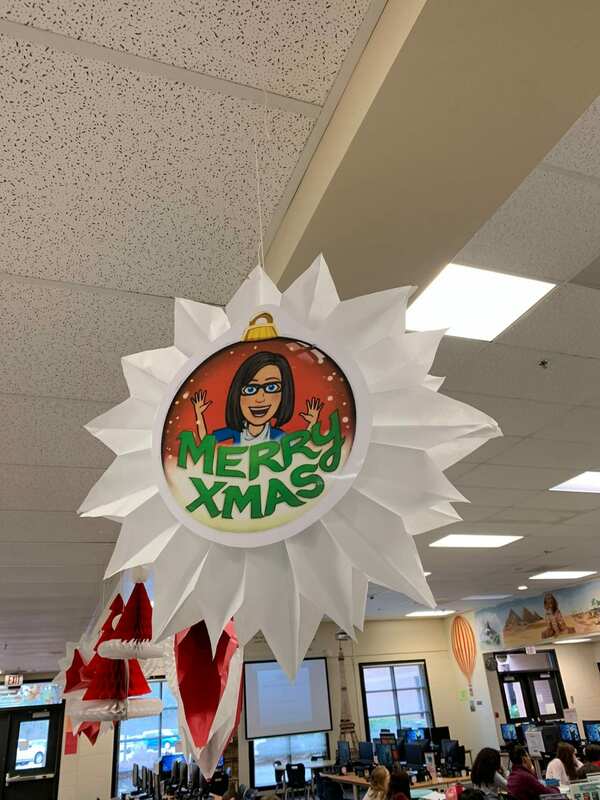 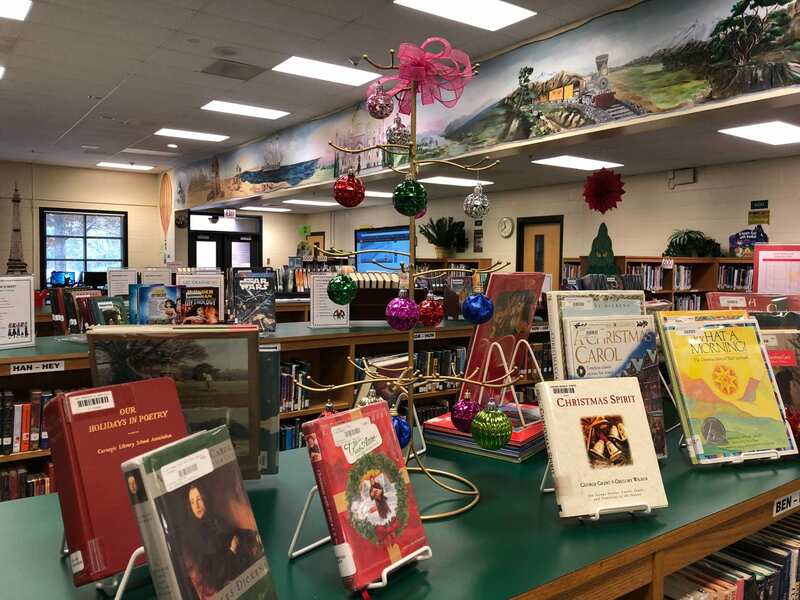 The Durham Media Center is as festive as ever and currently displaying books to celebrate the season. 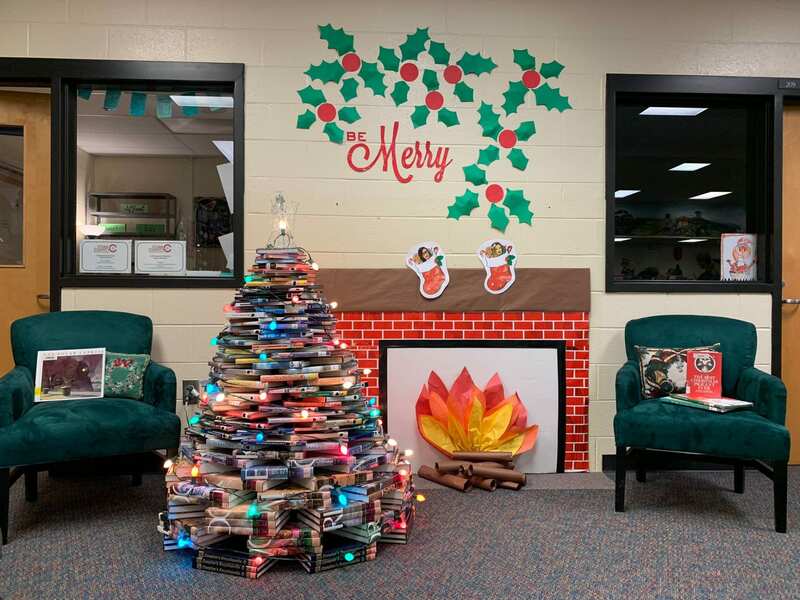 Also on display is the annual book tree created by Media Paraprofessional, Mrs. Webb. 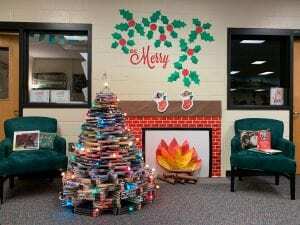 Come sit by the fireside and work study, or read. 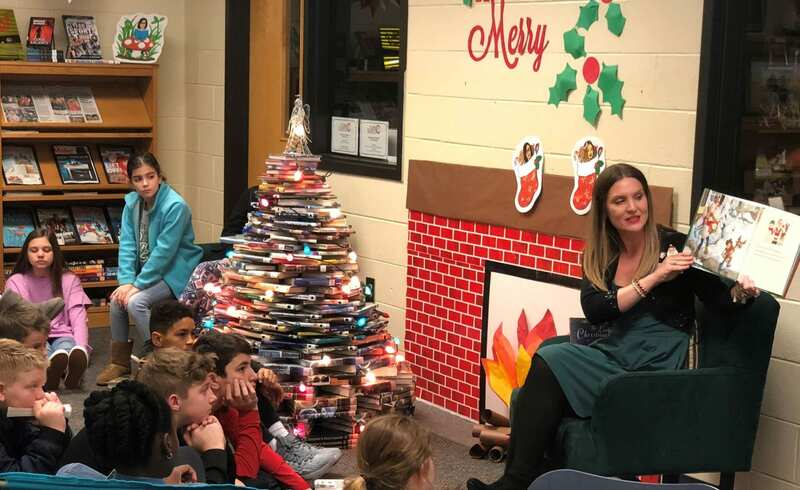 You might even be lucky enough to catch a story with Media Specialist, Mrs. Baker. Lastly, be sure to check out the new books on display; new titles continue to be added nearly every week. 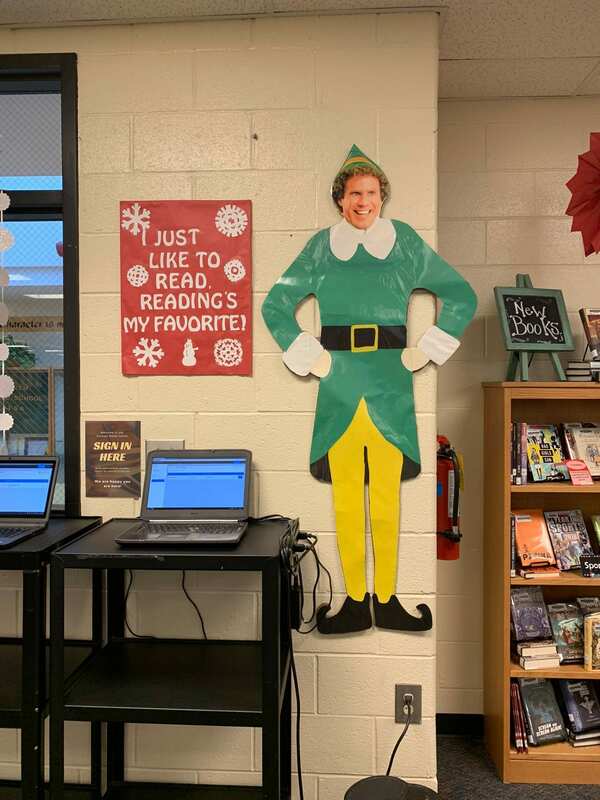 Happy reading Wildcats! 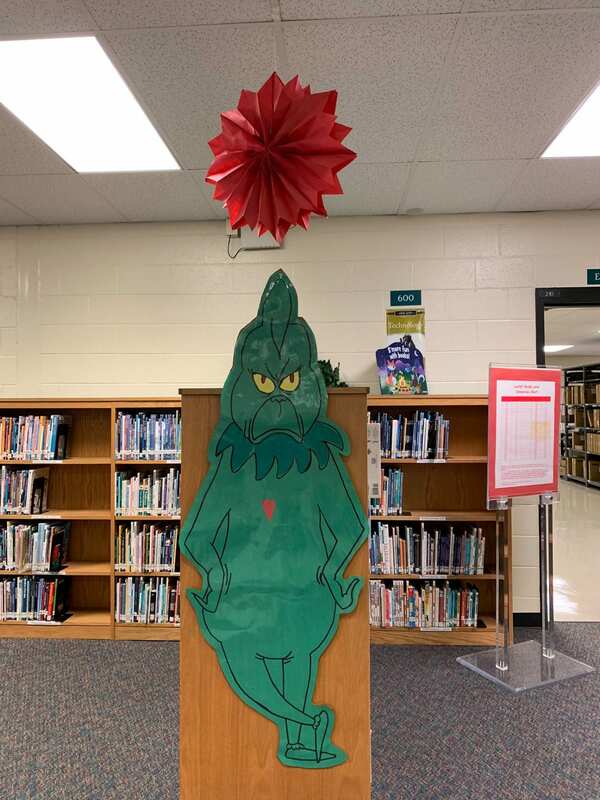 Come visit the Grinch, and read a little Dr. Seuss while you’re at it. 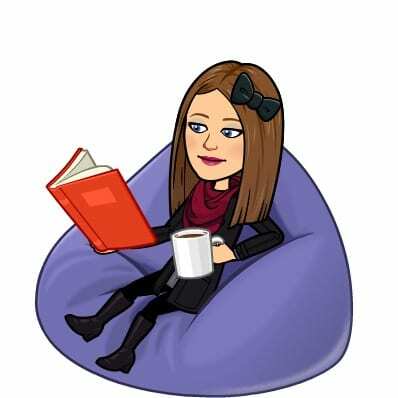 I just like to read. Reading’s my favorite. 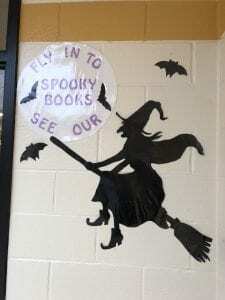 Sit by the fire, and read for a spell. 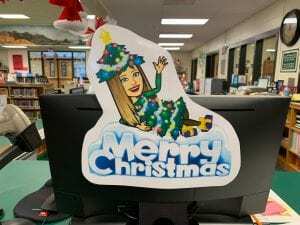 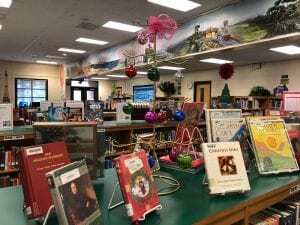 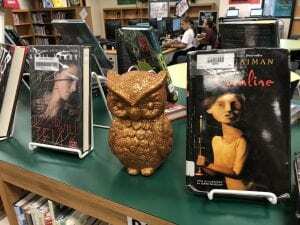 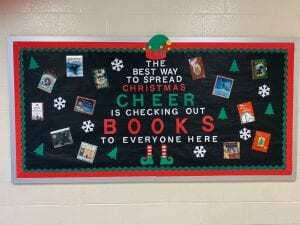 The Durham Media Center spreads Christmas cheer by checking out books throughout the year. 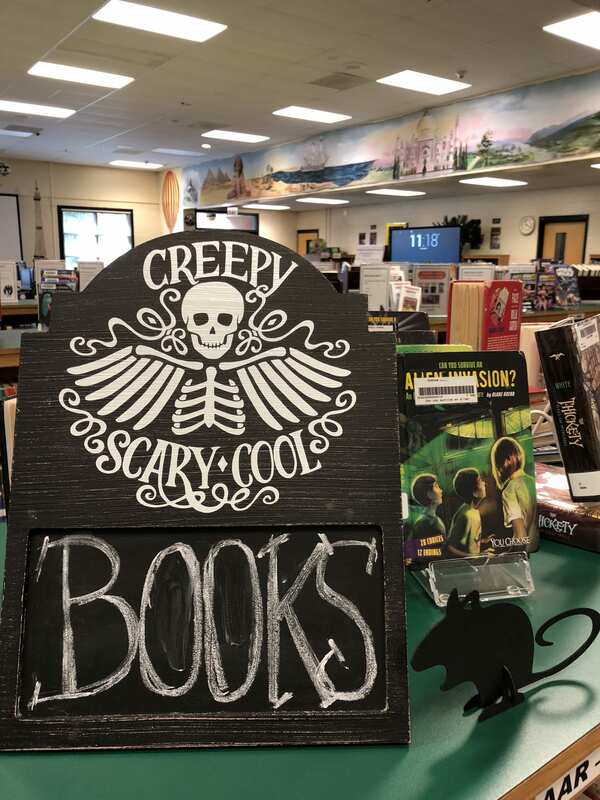 Seasonal books are on display! 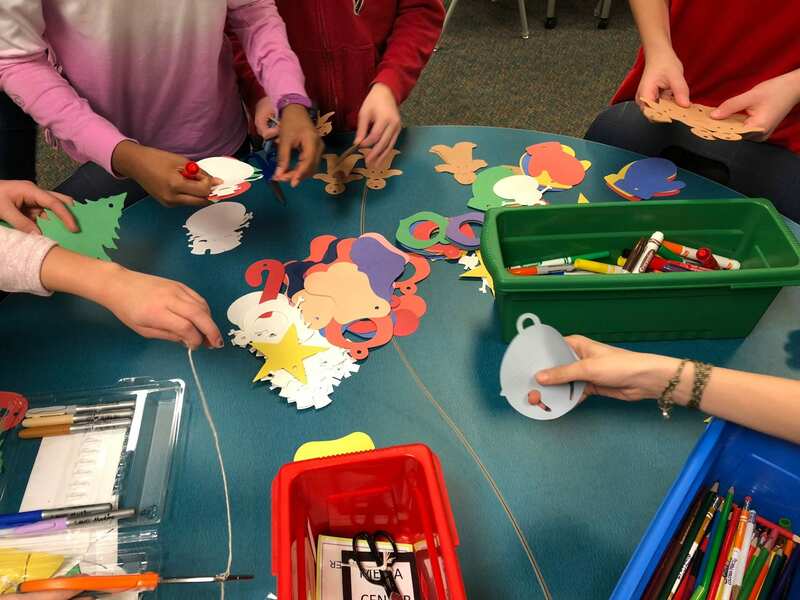 Crafting inspired by Tony Diterlizzi’s picture book The Broken Ornament read by Mrs. Baker. 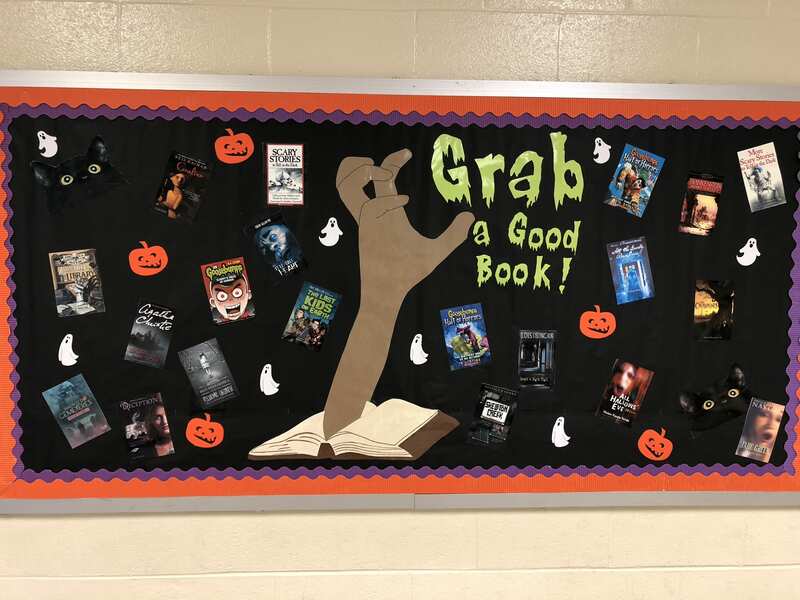 It’s Getting Spooky in the DMC! 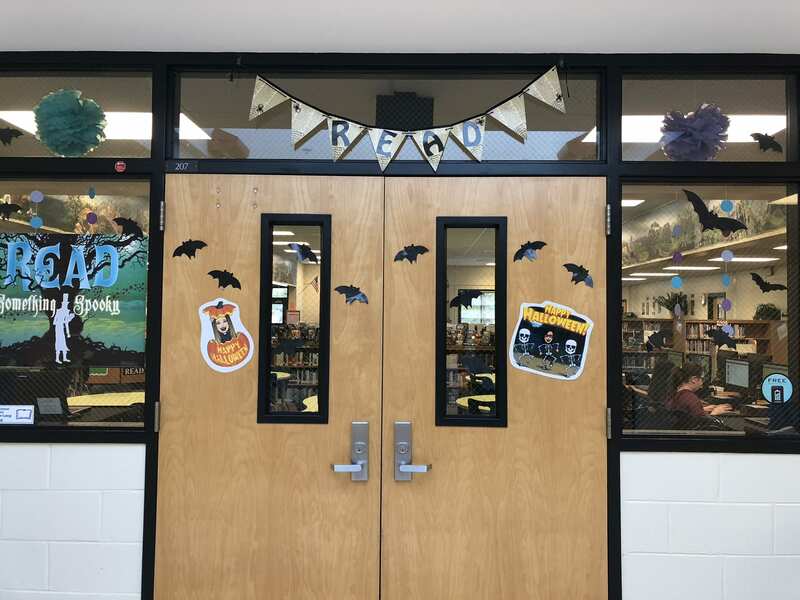 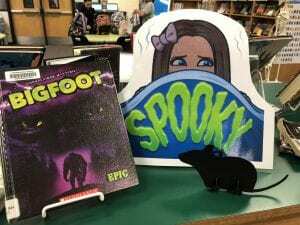 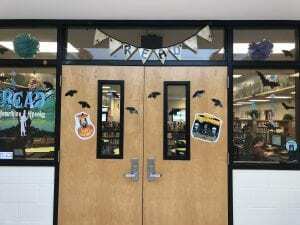 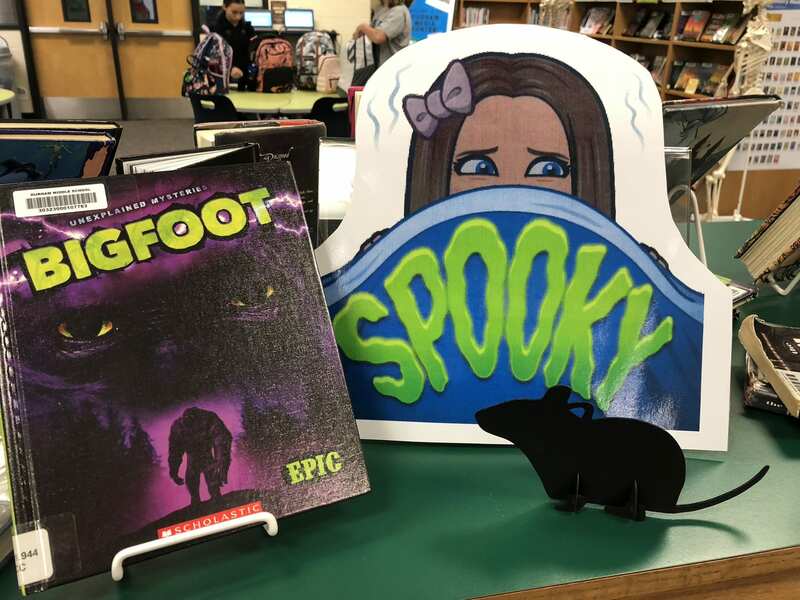 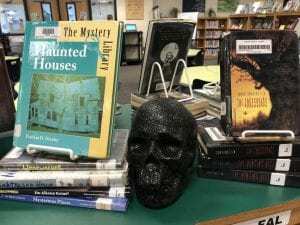 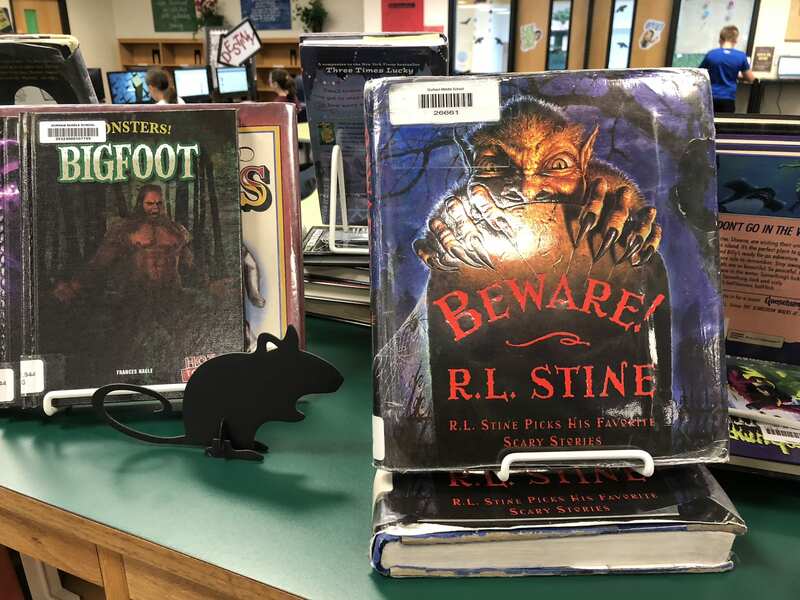 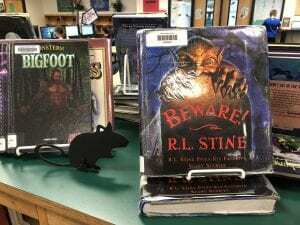 Visit the Media Center soon to see all the Spooky fun on display! 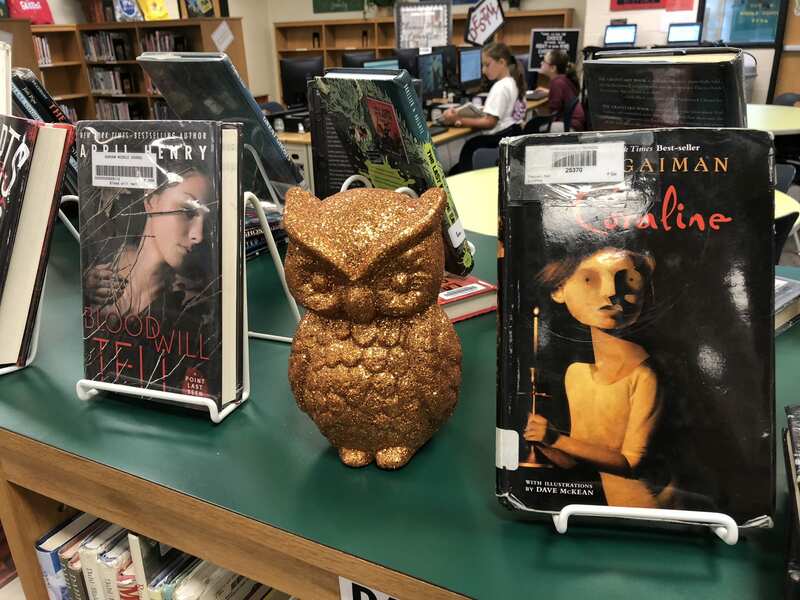 making it the perfect time to visit the Durham Media Center where there’s always something new and exciting happening. 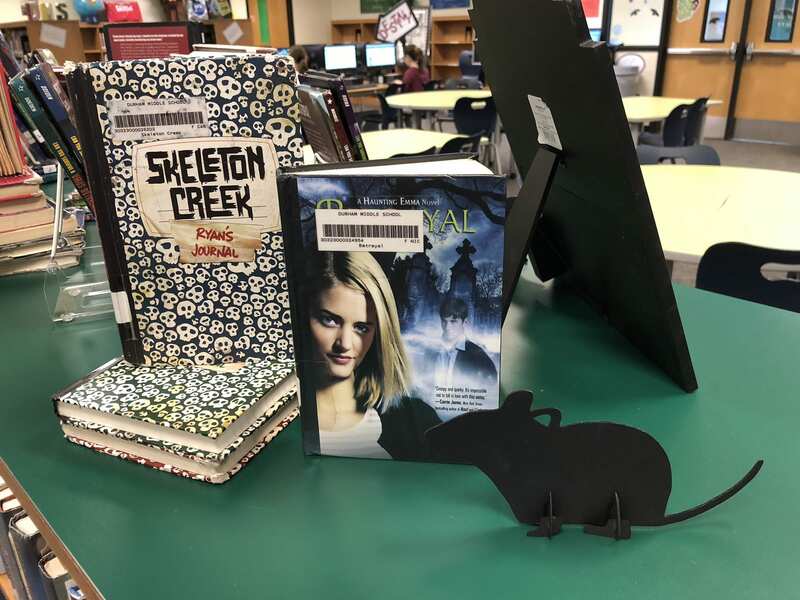 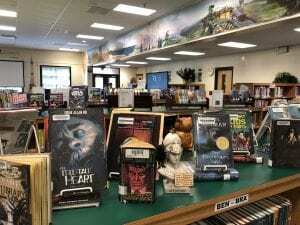 Did you know that Mrs. Baker and Mrs. Webb add new books to the collection every single month? This month’s new additions include 45 graphic novels selected specifically with students’ interests, inquires, and reading histories in mind. 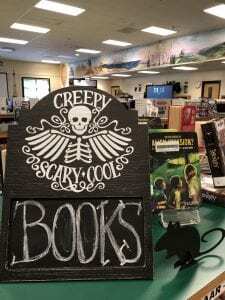 Be sure to swing by soon to check out something new in DMC. 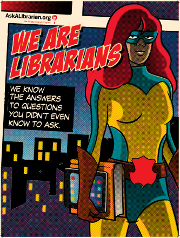 Until then, here’s a preview of the latest additions to 741.5. 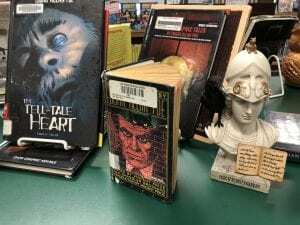 It’s Time to Go on a Blind Date . . . with a Book! 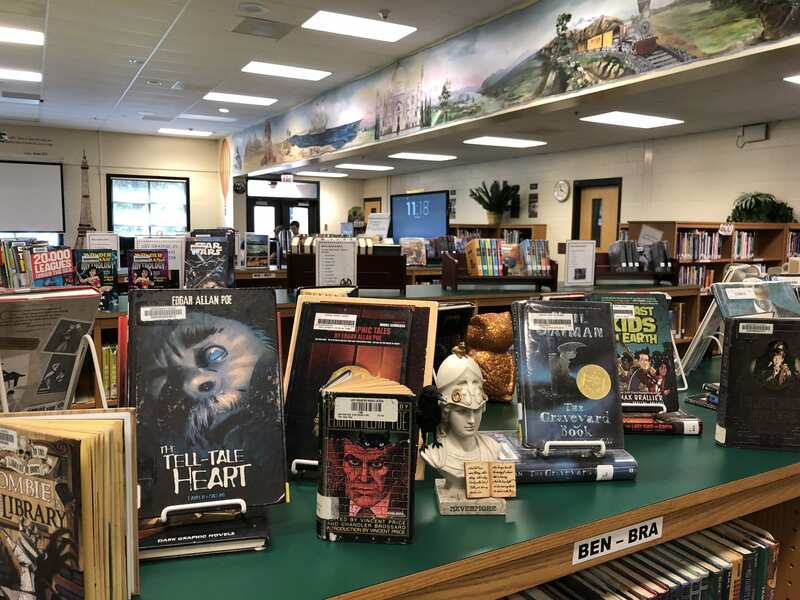 Swing by the media center to choose from hundreds of new books now on display!